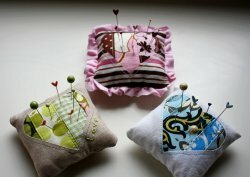 "Every person who sews needs at least one cute pin cushion to adorn there craft room. 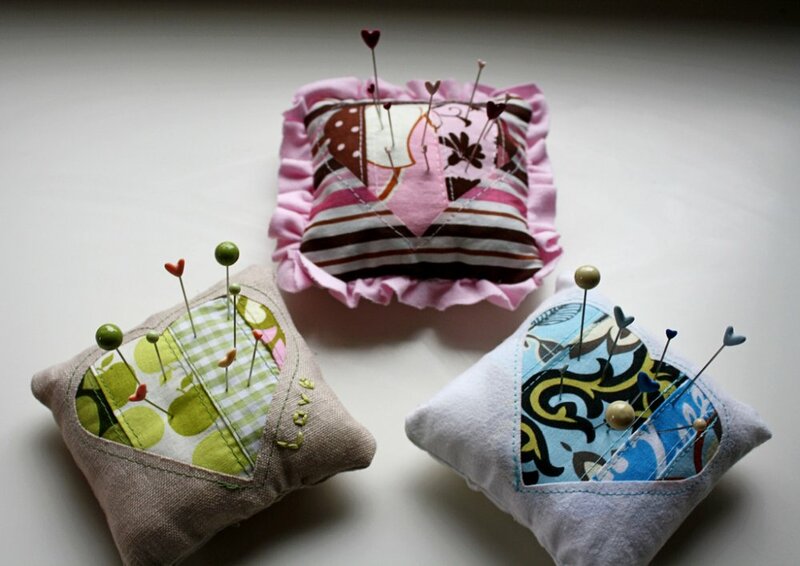 Having cute things around you help motivate you when you are being creative. 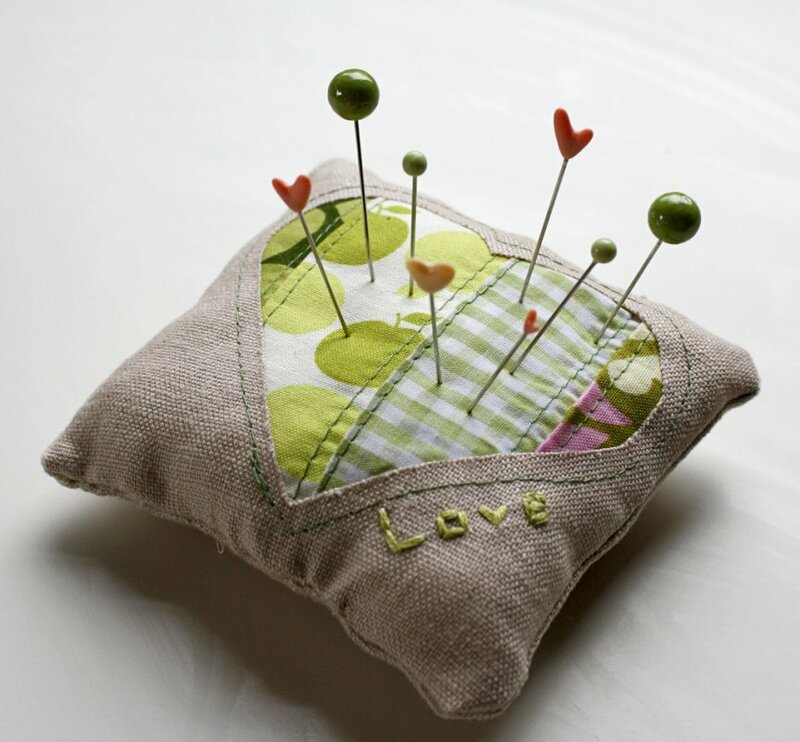 To add more cuteness to your craft room, here is a little heart pin cushion you can make. If you do make one, feel free to share with us by adding a picture to the Flickr Group."